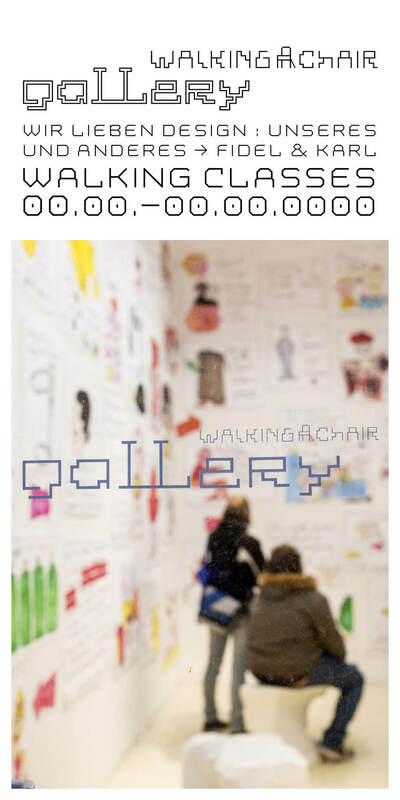 In 2007, Walking Chair was invited by Nicolette Naumann, the manager of Messe Frankfurt, as well as by trend spotter Ulla Diekmann, to design the exhibition area for Ambiente, the world's biggest consumer goods fair. PERSONAL SHOPPER The assignment was to curate a selection of products and objects from the entire exhibition, to later stage them for a presentation in a 100m2 area. All objects of the See You presentation where hung on invisible string throughout a partly mirrored room. A table area was mounted to the prominent column in the room’s center, on which presented objects where arranged. The goal was to create an atmosphere of unity between objects and visitors. With the mirror elements placed on the wall, dot patterns where created. With a closer look they disclose themselves as shapes of faces with ears. This project was the origin of Walking Chair’s later produced mirror series called See you.